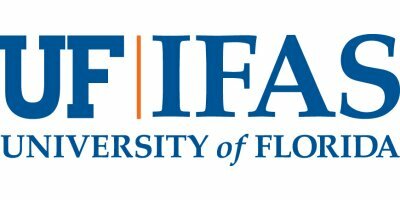 The University of Florida’s Institute of Food and Agricultural Sciences (UF/IFAS) is a federal-state-county partnership dedicated to developing knowledge in agriculture, human and natural resources, and the life sciences, and enhancing and sustaining the quality of human life by making that information accessible. While extending into every community of the state, UF/IFAS has developed an international reputation for its accomplishments in teaching, research and Extension. Because of this mission and the diversity of Florida’s climate and agricultural commodities, IFAS has facilities located throughout Florida. IFAS provides research and development for Florida’s agricultural, natural resources and related food industries, which made value-added contributions of $123.2 billion to the gross domestic product of the state economy in 2013. The Mission of UF/IFAS is to develop knowledge in agricultural, human and natural resources and to make that knowledge accessible to sustain and enhance the quality of human life.The University of Florida’s Institute of Food and Agricultural Sciences (UF/IFAS) is a federal-state-county partnership dedicated to developing knowledge in agriculture, human and natural resources, and the life sciences, and enhancing and sustaining the quality of human life by making that information accessible. While extending into every community of the state, UF/IFAS has developed an international reputation for its accomplishments in teaching, research and extension. Because of this mission and the diversity of Florida’s climate and agricultural commodities, IFAS has facilities located throughout Florida. IFAS provides research and development for Florida’s agricultural, natural resources and related food industries, which in 2010 made value-added contributions of $108.7 billion to the gross domestic product of the state economy. While the University of Florida traces its roots to 1853 and the establishment of the state-funded East Florida Seminary, UF/IFAS traces its roots to the Morrill Act of 1862, which established the land-grant university system. On July 2, 1862, President Abraham Lincoln signed into law what is generally referred to as the Land-Grant Act. The new piece of legislation introduced by U.S. Rep. Justin Smith Morrill of Vermont granted to each state 30,000 acres of public land for each senator and representative under apportionment based on the 1860 census. Proceeds from the sale of these lands were to be invested in a perpetual endowment fund that would provide support for colleges of agriculture and mechanical arts in each of the states. The establishment of Florida Agricultural College at Lake City in 1884 under the Morrill Act marked the beginning of what became the College of Agriculture of the University of Florida in 1906. Florida’s governing body for higher education created the Institute of Food and Agricultural Sciences in April 1964, by reorganizing UF’s College of Agriculture, School of Forestry, Agricultural Experiment Station, and the Cooperative Extension Service into a single unit. Today UF/IFAS includes extension offices in each of the state’s 67 counties, 12 Research and Education Centers with a total of 20 locations (including demonstration sites) throughout Florida, the College of Agricultural and Life Sciences, the School of Natural Resources and Environment, and portions of the College of Veterinary Medicine.